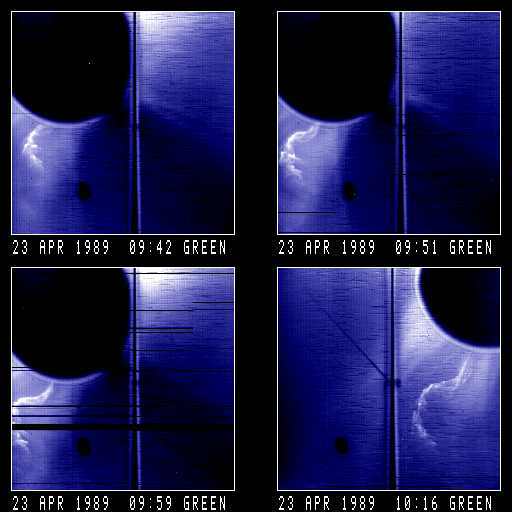 4 images of a prominence eruption seen over the southeast limb of the sun on April 23, 1989. Solar north points toward the upper left corner in each image. Thick loop/cavity with highly structured, `question-mark' shaped (prominence) core. Event is superposed on streamer. Region is partially blown out. Deflections. Data is streaked.